Just like human children, pet children can also get sick at a moment’s notice. Common symptoms like vomiting and diarrhea can happen often for small reasons or be signs of something more serious. Dogs and cats can also develop chronic illnesses such as allergies, diabetes, and cancer which can end up costing lots of money between the regular vet visits, surgeries, medications, and tests. Whether your pet is mischievous, brave, or just unlucky, accidents can happen at any time including broken bones, torn nails, lacerations, or getting hit by a car, just to list a few. 4 out of 5 pets will experience a medical emergency in their lifetime, according to Pets Best 2013 claims data. 3. It’s the responsible thing to do! We have health insurance, car insurance, and homeowners insurance to protect us financially against the unexpected, and pet insurance is no different. Veterinary care is rising in cost and for good reason, the care available to pets is often on par with human medical care. And when pets are part of the family, people go to extreme lengths to help their pets live long, happy and healthy lives. 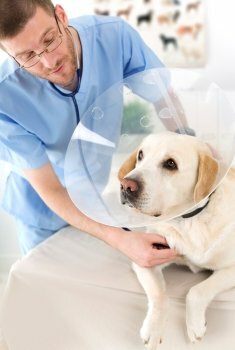 Pet insurance enables you to afford your veterinarian’s recommended course of treatments for your beloved pet, without wiping you out financially. Purchasing an insurance plan is a great way to ensure you can afford the best veterinary care as soon as your pet needs it, rather than a savings account which can take years to save enough to cover even just one large vet bill. Pet insurance is truly the gift that keeps giving – both to the pet and the pet owner! Consider insuring the pets in your life, making the best veterinary care more affordable.